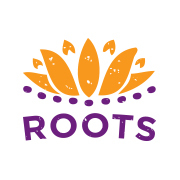 Minerva founded Roots Healing from a desire to offer comprehensive, accessible healing tools, which anchor people in their mind, body and spirit, using the healing qualities of the ancient philosophy of Yoga and Ayurveda. Dreaming about the ways in which to bring this to life and slowly putting the pieces in place, Minerva is beside herself to bring life to Roots as the Executive Director. As a DominiRican born and raised in the enclave known as “the Heights” in NYC, now thriving in Oakland, CA Minerva came to yoga at a time when she was able to be receptive to its healing and magic. The connection of body, breath and soul, made from a continuous practice, is in every way what keeps Minerva deeply devoted. Passionately dedicated to creating healing spaces through Yoga, Ayurveda and the sharing of truths, she is never shy to offer her compassion, intelligence or magic to make it possible. Minerva's classes are full of dope tunes, creative sequencing and some NYC DominiRican flavor. Her personalized consultations allow each individual to discover their innate healing capabilities and balanced nature and her workshops and retreats are a combination of it all. A devoted feminist of the Diaspora and yoga mat souljah, Minerva believes a new world is possible but it must be born from a place of love.